Tags: Anarkali, Deep Red, Front Open, Lehenga, Navy Blue. Deep red pure banarsi chiffon front open anarkali frock Frock has been adorned with yellow jamawar embellished bodice. Embellished border is implemented on front slit. On hemline embellished border is implemented with ferozi applique. Ornamental motifs scattered all over the frock. Fully lined dress. Concealed with side zip closer. Navy blue pure chiffon dupatta. 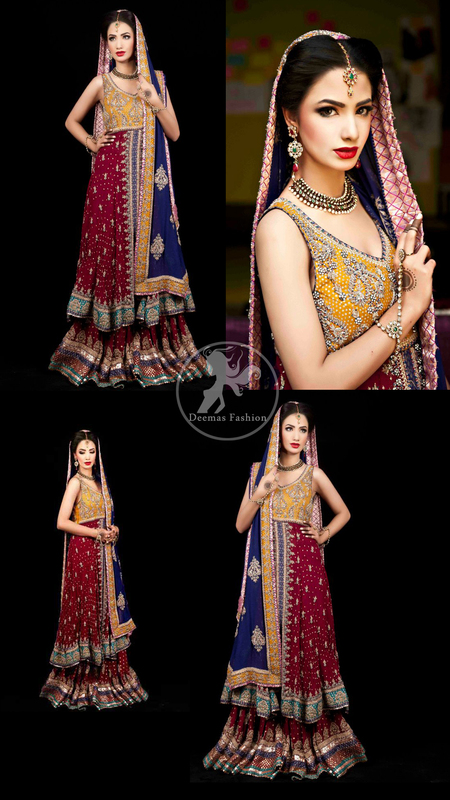 Dupatta has four sided embroidered appliqued border.Large embellished motifs spray allover the dupatta. 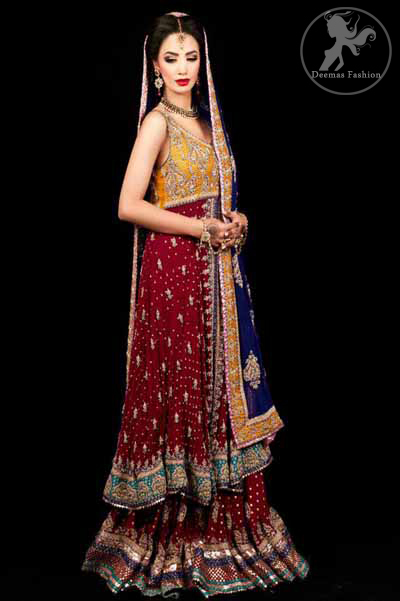 Deep red banarsi chiffon lehnga. Lehnga has embellished border on bottom. 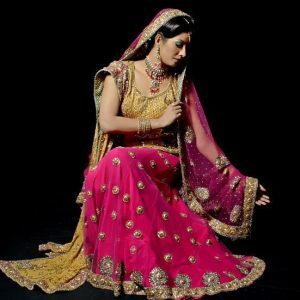 Small motifs scattered allover the lehnga. Finished with different banrsi fabrics.